Caleb Ganzer. Graphic by Jeff Quinn. 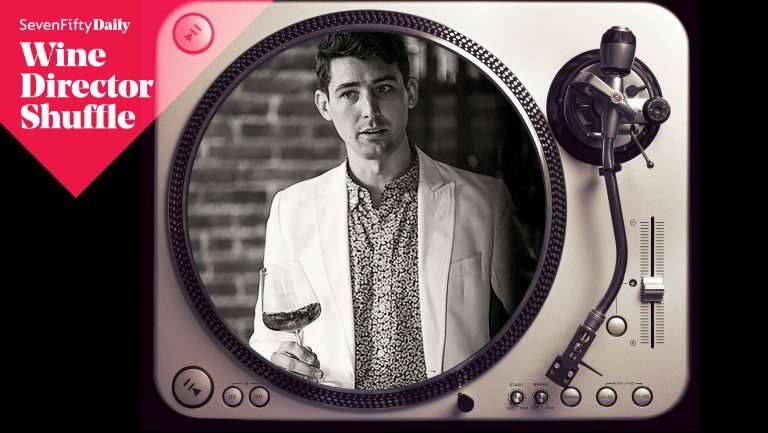 Eye-rolling aside, it’s a common analogy for a reason—music is a universal language and wine is often hard to pin down, especially without the proper training or hours logged. Caleb Ganzer, wine director and managing partner at La Compagnie des Vins Surnaturels, not only understands the tendency, but wholly embraces it. 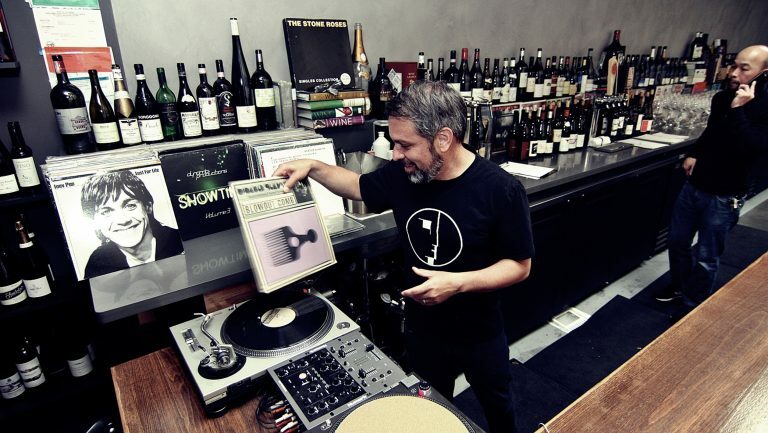 When contemplating a change to the wine list at his jaunty wine bar on the edge of New York City’s Nolita neighborhood, Ganzer thinks in terms of playlists. Perhaps not surprisingly, tracks like Harry Belafonte’s calypso-driven “Jump in the Line” regularly pour out of Compagnie’s speakers. 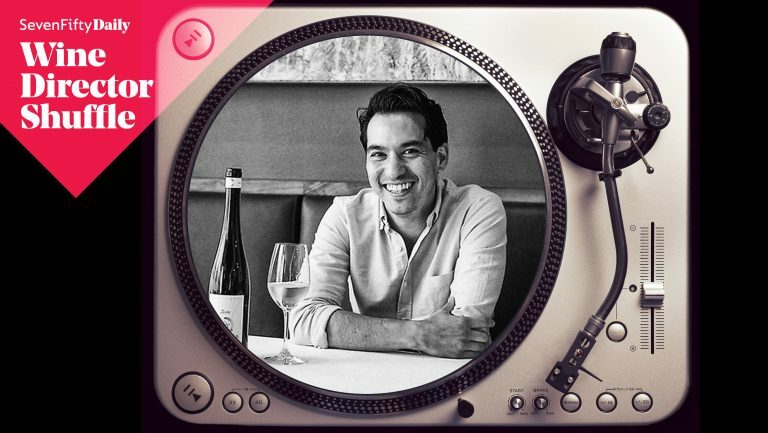 The feel-good sounds establish a warm environment that’s conducive to trying a glass of Hervé Souhaut’s 2016 La Souteronne Gamay from the Rhône or splurging on a bottle of 2008 Casa Ferreirinha Barca Velha from the Douro. Although French-leaning, the extensive wine program at Compagnie spans five continents. It’s the byproduct of Compagnie’s unofficial mantra, to be the neighborhood wine bar for the world. Roughly 800 selections are drawn from about 6,000 bottles stored in-house. Over thirty wines are available by the glass, including a mystery white and red, which, if identified correctly, are on the house. Ganzer’s interest in wine developed during college, while studying international studies and French abroad. 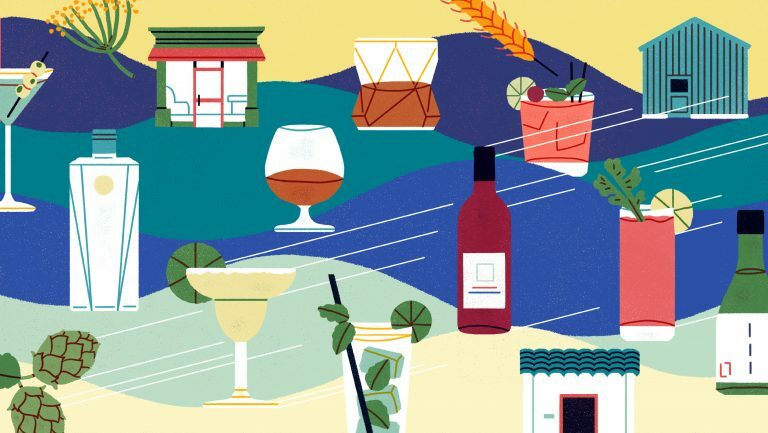 Initial intrigue in the field of diplomacy evolved into a love affair with fermented fruit, thanks to working shifts at bottle shops and restaurants while in Italy. 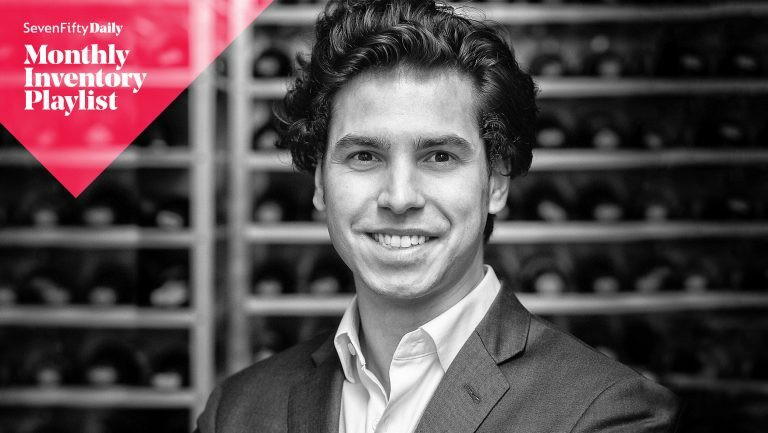 As soon as he realized that being a sommelier was even an option, let alone a viable career, Ganzer set his sights. Prior to his term at Eleven Madison Park, while working at Daniel Boulud’s DB Bistro Moderne, Ganzer and a coworker devised a crafty hack to tighten up bottle counts. “I’m not quite sure how to describe it except maybe the Google [equivalent] for missing wines,” he says. On top of the four-digit codes assigned to wines via BinWise software, Ganzer assigned codes and locations for the organizational bins themselves, combating a large storage space’s unique ability to make some wines disappear. The added layer of mapping cut into losses and made finding specific bottles much easier. Even amid the monotony of tallying wines, music has its place. The tracks Ganzer listens to while at home and on the job are much the same, offering a delightfully blurred perspective between work and play. “I truly feel like I am always working yet never working,” he says. Ganzer’s philosophy is simple and tough to argue with—if people are enjoying the music, then they’re having a good time. And if they’re having a good time, they’re comfortable, receptive, and maybe even willing to shell out $675 for a bottle of Jacques Selosse Substance Grand Cru Blanc de Blancs.